An Ontario court has approved a $36-million compensation deal for people mistreated at 12 now closed institutions for adults with mental disabilities. An Ontario court has approved a $36-million compensation deal for people mistreated at 12 now-closed institutions for adults with mental disabilities. Former residents of the facilities who were there during the 1960s to 1990s brought the class-action suit against the provincial government. They had alleged they were "emotionally, physically and psychologically traumatized" in the institutions and claimed the province "failed to properly care for and protect" them. The government announced Wednesday in a news release that the Ontario Superior Court had approved the settlement. 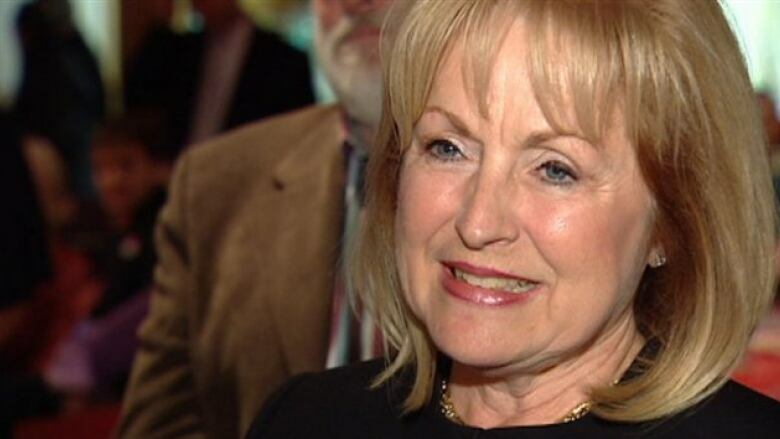 In a statement, provincial Attorney General Madeleine Meilleur called the compensation fair. "These individuals were harmed in a place that was intended to provide them with care, and while we cannot change the past, it is my hope that this settlement will help these individuals — and their families — to heal," said Meilleur. Some 7,800 people lived at the institutions during the relevant time period and could be eligible for a share of the compensation if they were abused, said lawyer Jody Brown, an associate with Koskie-Minsky, the Toronto firm that represents the plaintiffs. "The allegations were not proven in court, but some of the allegations made were that individuals were subjected to hitting or slapping by staff members or other residents, and some individuals alleged sexual assault," Brown said in a phone interview with CBC News. The lead plaintiff in the case, Marlene McIntyre of Barrie, recently turned 70, said Brown. Adult Occupational Centre (Edgar): Jan. 1, 1966, to March 31, 1999. Bluewater Centre (Goderich): April 1, 1976, to Dec. 20, 1983. D'Arcy Place (Cobourg): Sept. 1, 1963, to Dec. 31, 1996. Durham Centre for the Developmentally Handicapped (Whitby): April 1, 1974, to Sept. 28, 1986. L.S. Penrose Centre (Kingston): April 1, 1974, to March 31, 1977. Midwestern Regional Centre (Palmerston): Sept. 1, 1963, to March 31, 1998. Muskoka Centre (Gravenhurst): Aug. 28, 1973, to June 30, 1993. Northwestern Regional Centre (Thunder Bay): April 1, 1974, to March 31, 1994. Oxford Regional Centre (Woodstock): April 1, 1974, to March 31, 1996, or in what was then called "Mental Retardation Unit": Jan. 1, 1969, to March 31, 1974. Pine Ridge (Aurora): Sept. 1, 1963, to Aug. 31, 1984. Prince Edward Heights (Picton): Jan. 1, 1971, to Dec. 31, 1999. St. Lawrence Regional Centre (Brockville): April 1, 1975, to June 30, 1983. Similar settlements were reached in 2013 for former residents of other similar Ontario facilities. The class-action lawsuit over the notorious Huronia Regional Centre in Orillia ended with a $35-million settlement. Premier Kathleen Wynne formally apologized in the Ontario Legislature to the victims of abuse and neglect at the facility. The province separately agreed to $32.7 million in compensation for ex-residents of the Rideau Regional Centre in Smiths Falls and the Southwestern Regional Centre near Chatham.